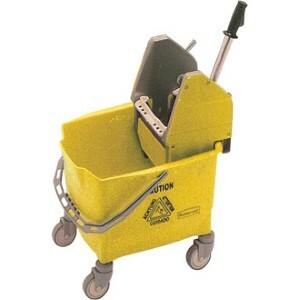 Lightweight gear action wringer and bucket combination with tough castors and hazard warning on side. 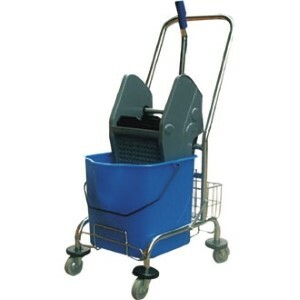 Heavy duty wringer and bucket with a strong stainless steel trolley and storage basket. 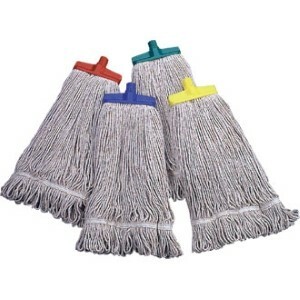 interchangeable handle fits and interchanges between all mop heads and broom heads in this section. 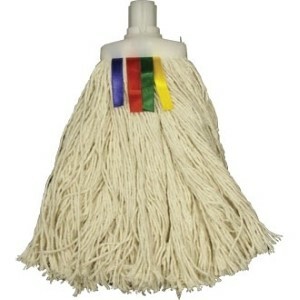 Kentucky mop head is a traditional mop head made of cotton. 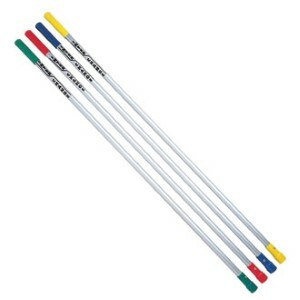 Use with interchangeable handles. Colour coded tag system, simply remove all but the colour required. 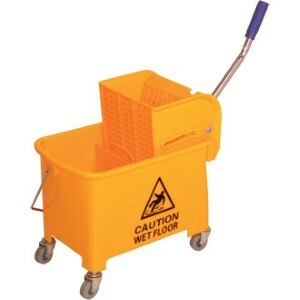 Suitable for use with interchangeable handles. CHSA accredited. 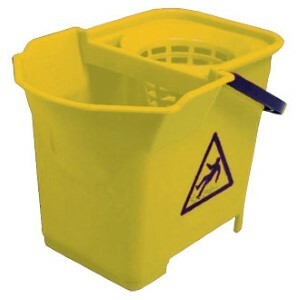 Free-standing double-sided safety signs. Fold flat for easy storage.